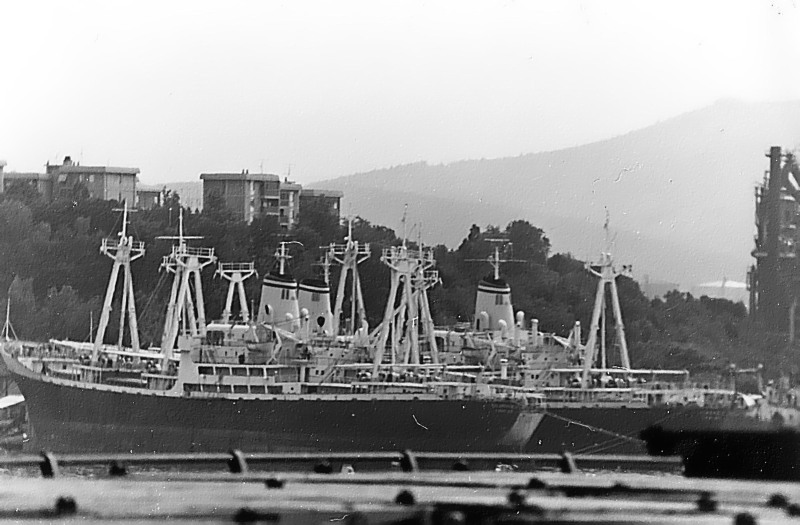 Had the good fortune to see these three laid up on a short visit to Trieste in I think 1980. ..hard times for three Italian general cargo classics... maybe admin should put in the IMO number for one of them - for future reference and access? oh, oh, oh, wonderful photo, but so sad!